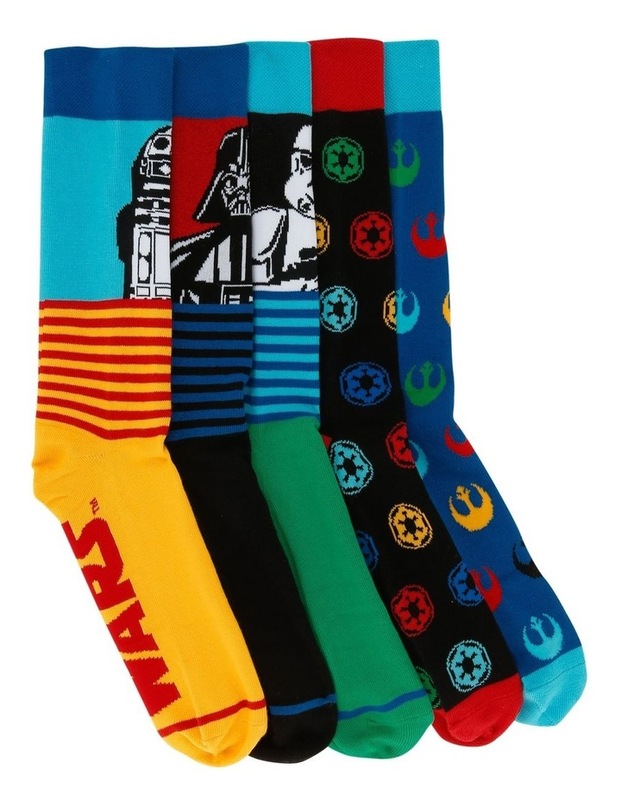 May the force be with you with this 5pk of Starwars socks, knitted in a cotton blend for comfort and featuring iconic Star wars designs, these socks will be a favourite for any Starwars fan. 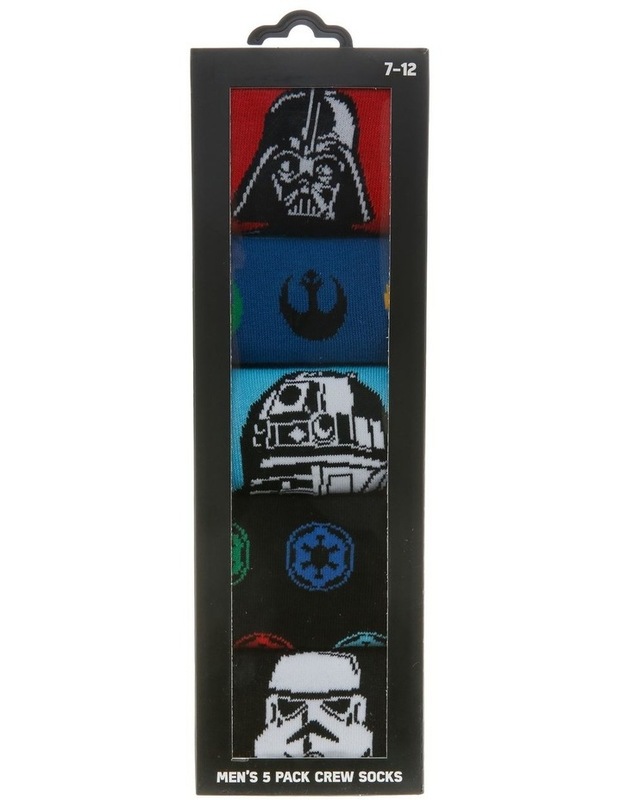 Great for everyday wear or for gift giving. Made from cotton/nylon and elastane.